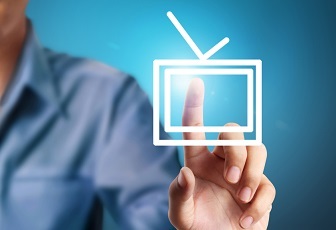 Mortgage brokers have just gained a huge advantage with the launch of broker-focused television ads currently airing on Canadian television stations. “This TV campaign is a sizeable expense from MBAAC but deemed a necessary and worthy investment to promote mortgage brokers in our region. It was made possible by being a member of CMBA through shared resources and vision,” Janet McKeough, president of MBAAC, wrote in an email to MortgageBrokerNews.ca. “These commercials, with regional customization, have aired in B.C., Ontario, and now Atlantic Canada." One thirty second advertisement currently airing hones in on the value brokers provide mortgage clients. It features a clearly frustrated woman speaking on the phone with her mother about the mortgage application process. The ad then features a voiceover of a man extolling the benefits of working with a broker. Calls by players for broker-specific advertisements that draw attention to the value they provide have been increasing. Many have been in response to the big banks ramping up their own mortgage ads. And the MBAAC and CMBA have clearly taken note. The advertisement is the latest push in an initiative by CMBA – the industry’s most recently launched association – to have its MB logo recognized across the country. This is a very informative article for the public, and good for us as well. Well done, to everyone involved.